Photo (L-R): BAYADA thought leaders Carole Kriessman, Cay Ambrose, Lori Ragonese, and Tyke Ingram. 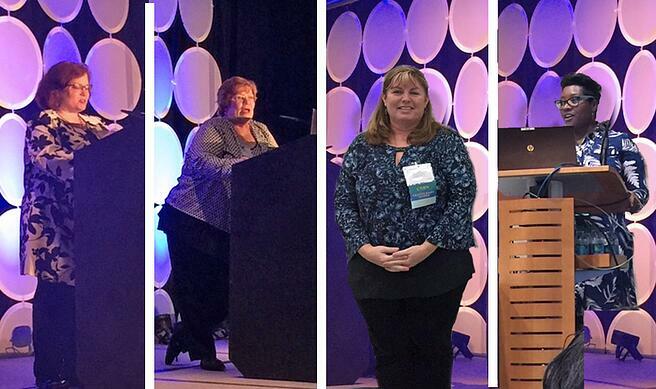 The Association of Rehabilitation Nurses (ARN) held their annual conference in Seattle,Washington on Wednesday, November 8 to Saturday, November 11. More than 850 rehabilitation nurses from around the country gathered to advance their knowledge and explore cutting-edge solutions.